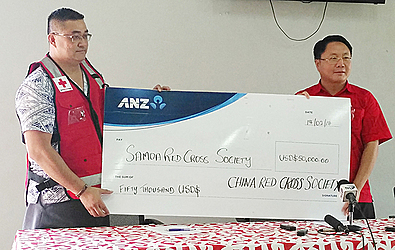 The Red Cross Society of China donated US$50, 000 (T$126,072) to the Samoa Red Cross Society yesterday afternoon. China’s Ambassador to Samoa, Wang Xuefeng presented the donation to the President of the Samoa Red Cross Society, Leiataualesa Jerry Brunt, at Tuanaimato. During the presentation, Mr. Wang said the donation should help the Samoan people who were affected by Tropical Cyclone Gita last week Friday. “Even though Gita came and left very quickly, it still devastated the whole country with the horrible results of strong winds and flooding,” he said. “As we can see in the aftermath of Gita, numerous trees broken or uprooted, seashores were piled up by the countless tree trunks and broken branches which had been washed down by the heavy rain from the mountains. “Many houses of the villages were damaged to various extents and many shops flooded, resulting in the loss of goods and furniture’s, power and water supply were also badly affected, vegetation were severely damaged with many crops and fruits like mango, pawpaw, breadfruits etc. being blown and washed away. “Our hearts broke when we saw the bleak scene with our own eyes and read the reports from the newspapers and television. Mr. Wang also praised the quick response by the Samoan Government in disaster relief action. “Thanks to the hard work of many government departments, such as E.P.C. and S.W.A., power and water supply were restored in a very short time,” he said. “People have started cleaning up messes and resuming their normal life. “Some N.G.O.’s and charity organizations have also lent hands in helping out. He also said the donation is a token of friendship between the two countries. 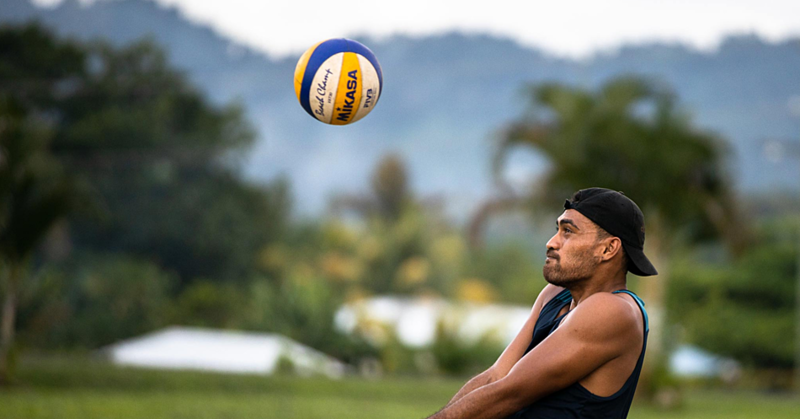 “The cyclone could uproot trees and damage buildings, but the China-Samoa friendship is so deep-rooted that it becomes even stronger in times of disaster,” Mr. Wang said. “I believe with the concerted work of all people of Samoa as well as friends of Samoa, we will see the beautiful Samoa again very soon. “Tomorrow will be the biggest Chinese Festival, spring festival. “Spring festival marks the beginning of a new year and the coming of spring, and spring means hope and vitality. Leiataualesa acknowledged the much needed donation from the Red Cross Society of China. “It’s not unusual for the embassy to bring in assistances like these,” he said. “We acknowledge this much needed donation and the support of the government of the People’s Republic of China throughout the year. “The staff of the Samoa Red Cross have benefited from attending international blood conferences in Beijing on disaster management training, training focusing on community resilience, health management with the Red Cross Society of China. “This is further a testimony of a close relationship that the Government of Samoa and all of its other N.G.O’s enjoy with the Government of the People’s Republic of China. “This again supports and further reaffirms that our relationship goes beyond just monetary relationship. “So thank you and the Red Cross Society of China for this great donation. 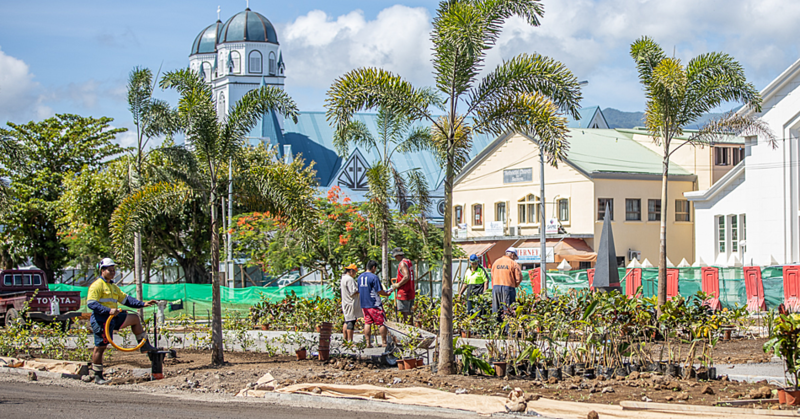 “The funds that you have donated to the Samoa Red Cross Society will definitely be put to good use.